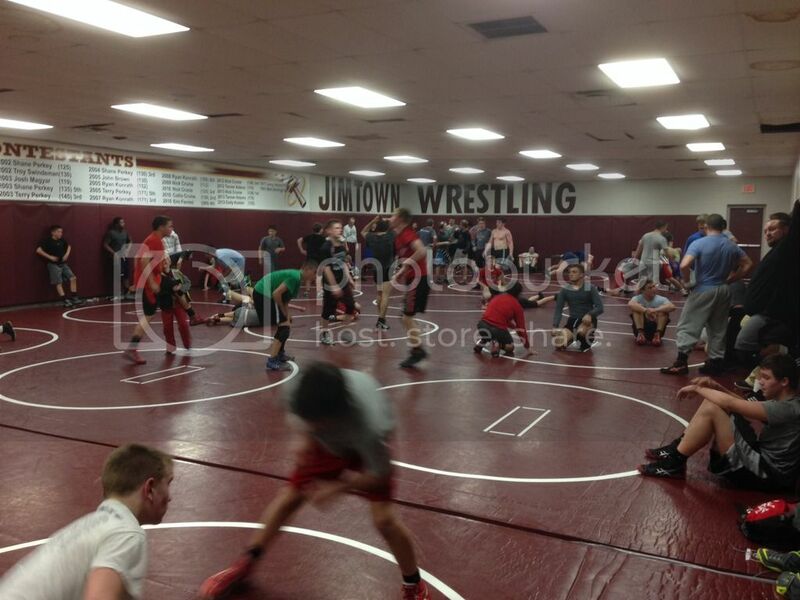 Jimtown High School will once again be hosting an RTC on Tuesdays from 5:30-7pm. The RTC will begin tonight (3/3/2015) and will continue every Tuesday following! JHS has traditionally been a packed room with a lot of great wrestling!! Come and help yourself get to the next level!! Unbelievable turnout last night in the room! There were 7 schools represented (Penn, Mishawaka, Bremen, Concord, Elkhart Central, Elkhart Memorial, Peru) which had roughly 60 kids wrestling and 20 coaches there for support! A special shoutout to Peru for making the drive to get a solid workout in. It was great room with a lot of kids working their craft to reach the next level. Our room will be open again next Tuesday at 5:30pm!! Hope to see everyone again and some new faces. Thank you to those that came last night! Special shout out to the flyweight wrestler from Benton Central who made the 2 hour drive! Commitment! Tomorrow at 5:30pm we will once again have our room open for the RTC!!! Come help yourself get to the next level as it should be another packed house!! Tonight at 5:30pm we are once again #BringingTheHammer!!! Come help yourself get to the next level and lay the smackdown on your future competition! There will be several partners to go with ranging from the little guys to the big guys! There will be a short warm up with a light drill and then a lot of live wrestling!! We had another packed house last night!! It was rocking with 60+ kids and coaches!! These guys are coming from all over and man was it exciting to have such great wrestling. Schools that came in were from Angola, Benton Central, Caston, Mishawaka, Penn, Elkhart Memorial, and Elkhart Central!! We had middle school wrestlers all the way through to Seniors in high school in the room helping themselves get to the next level. The #Hammer was definitely brought last night in Jimtown!! Hope to see you all again next week at the same time (5:30pm) on Tuesday!! Come catch a ride on the #JimmieExpress and reach the next level of competition!! It's Tuesday once again! 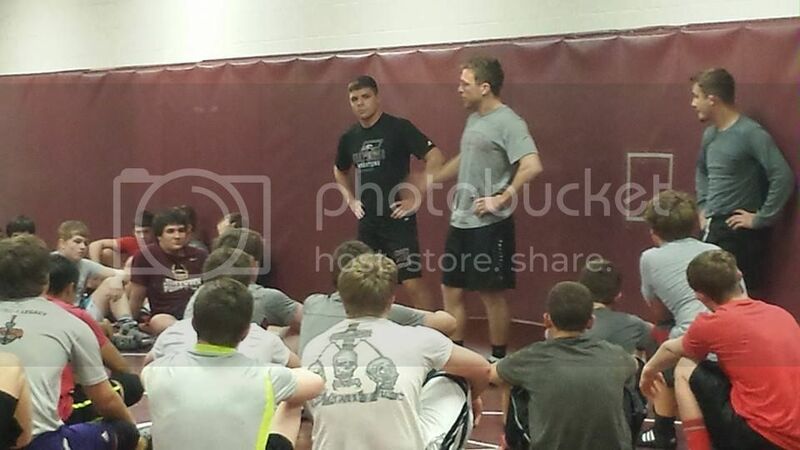 Tonight at 5:30pm we will be #bringingthehammer in the Jimtown wrestling room!! Last week we had a rocking room with about 60+!! This week should be no different. Studs from all over the area and then some travel over to Baugo to get some great wrestling in. Don't miss out on the opportunity to help yourself get to the next level!! See you all there, it should be a blast! Another solid room last night! 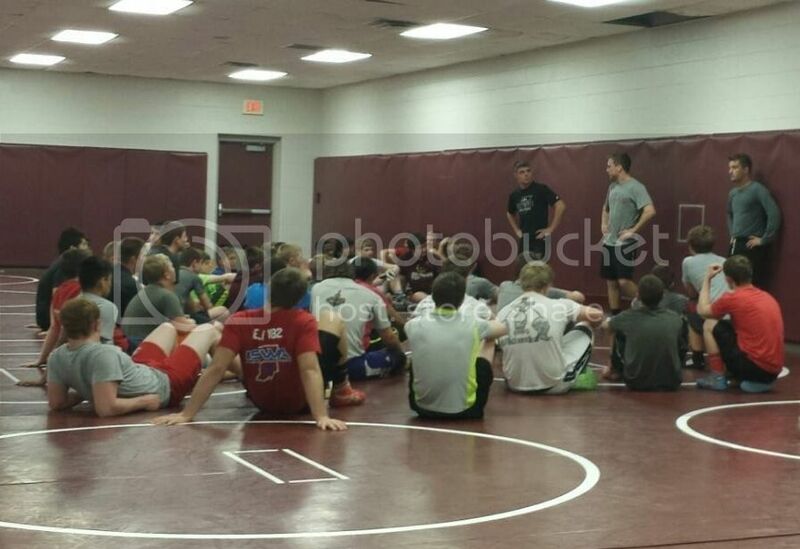 Thanks to all that came and look forward to #droppingthehammer next week at 5:30pm on #TakedownTuesday!!! Tomorrow we are back at it!! Tonight at 5:30pm we will once again be open to help you reach the next level of competition!! Tonight is not only our RTC but we will have a special guest in Assistant Coach Chad Cook from Manchester College to speak about Manchester and to also show a little technique before we get into live!! The #Hammer will definitely be brought again tonight so make sure you don't miss out!! Help yourself lay the smackdown on your future competition as they sit at home and play video games while you help better yourself!! This is consistently a packed room ranging from little ankle biters all the way to the big guys so you will have a plethora of talent to choose from! See you all soon on this #TakedownTuesday!! Wow, what a popping room we had last night!!! Coach Cook was simply awesome for making the trip! Thanks Coach!! There were roughly 60+ kids again utilizing the RTC to their advantage! Not only was it packed with wrestlers from around the area but we also had about 20 coaches in the room to help any kids get better! Nothing better than having a rocking house full of young wrestlers from middle school all the way up to seniors in high school wanting to get better and reach their potential. Schools that were represented were Penn, Elkhart Central, Elkhart Memorial, Northwood, Bremen, Mishawaka Marian, East Noble, West Noble, Culver Military, and Rochester!! Thank you to all that came!! 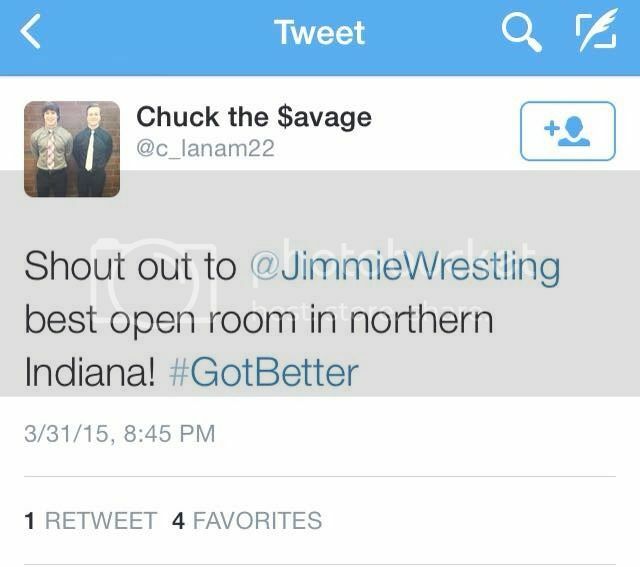 We hope to see you next week at the same time (5:30, Tuesday) in the same place (Jimtown Wrestling Room) ready to #DropTheHammer again!! Here we go!! Another #TakedownTuesday is rolling up on us and another Jimtown RTC!!! Join us tomorrow (3/31) at 5:30pm to lay the #HammerDown on your future competition and reach the next level!! Tonight at 5:30pm its about to be poppin!! University of Indianapolis wrestlers led by former Jimmie State Champion and 7th place All American Nick Crume will be in the house!! There will be a short, solid warm up followed by some brief technique and then we shoot right into live!! Don't miss out on the opportunity to learn from one of the best in the nation tonight! It should once again be a jumpin room with little ankle biters all the way to seniors in high school. These guys range from big to small so there will be a lot of talent to choose from and also all of the coaches that are in the room that can roll too!! There are no excuses to not use this opportunity to reach the next level, so come #DropTheHammer tonight!!! WOW, last night was exciting!! 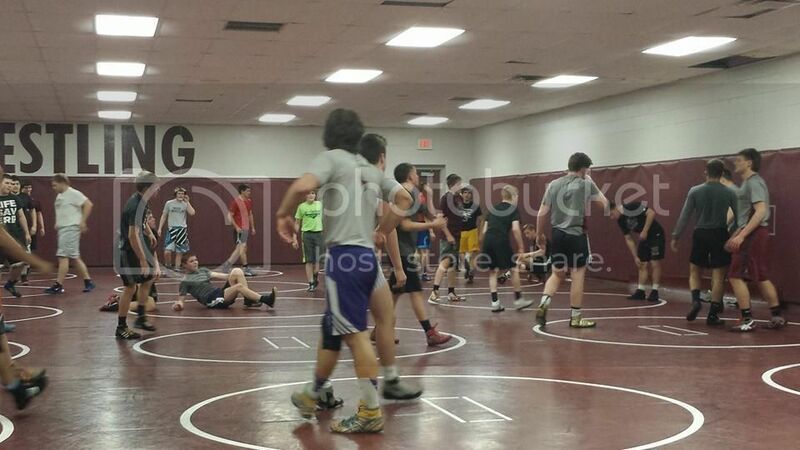 We had about 50 kids in the room last night working hard to reach the next level to surpass their competition! A huge thank you to Cam Brady and Nick Crume for making the trip into town to show a little technique. These guys not only showed some good technique but when we went live they made the effort to go with anybody and everybody in the room. They went with the 8th graders through the high school guys letting these young studs pick their brain! Man, was that awesome!!! Thank you guys for coming in and can't wait to have you back in the room! Also, a big shout out to the Angola guys that made the trip to get better!! The #Hammer was dropped last night!! We are back at it again NEXT TUESDAY (4/7) Hope to see you all there!!! Just a reminder that tomorrow our room will be OPEN at 5:30pm!!! We realize most are on spring break but we still want to give the opportunity to #GetBetter and reach the next level! 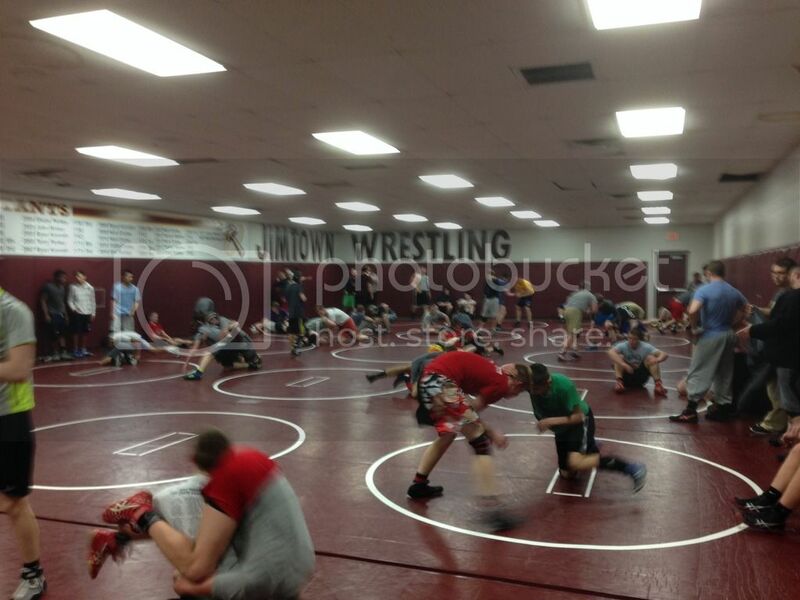 Another Jimtown RTC is approaching!! Get your gear and make it over to Jimtown High School tonight at 5:30pm! With it being spring break for a lot of people, make this an opportunity to #GetBetter while your competition is off on a boat somewhere! Make this into a positive to help you reach your potential!! Get ready to #DropTheHammer because it is going down tonight on #TakedownTuesday! If I #dropthehammer on my foot it will severely hinder my wrestling ability. Better step up on your foot speed drills then! Tomorrow at 5:30pm we are back at it!! We are back at it again and ready to #DropTheHammer tonight at 5:30pm!! It's expected to be yet another rockin' house tonight, so be prepared to #GetBetter as your competition hangs out on the couch playing video games! Remember, off-season wrestling creates champions!